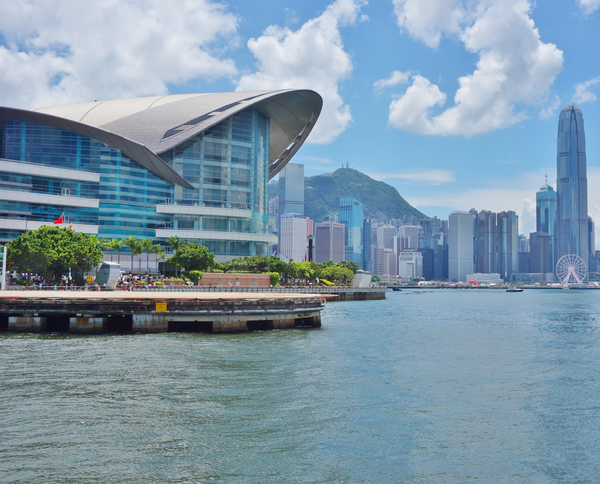 From June 5 to 8, the Asian Attractions Expo (AAE) takes place at the Hong Kong Convention and Exhibition Centre, Hong Kong, the premier international business event for attractions industry professionals in the growing Asia Pacific region. More than 8,000 attendees are expected, travelling from more than 50 countries to learn about the latest innovations, solutions, trends and products on offer on the 9,500sqm trade show floor. Professionals from theme parks, waterparks, FECs, zoos and aquariums, museums, science centres, cultural and heritage attractions and the hospitality and tourism industries will be in attendance. Over 300 global companies will be represented, presenting the best the sector has to offer, including state-of-the-art rides, virtual reality attractions, motion simulators, waterpark attractions, video and skill games, design and theming services, innovative technology, ticketing solutions, and food and beverage. The IAAPA Safety Institute and the IAAPA Institute for Attractions Managers will be held. Educational offerings can be used as credits by those seeking IAAPA Certification. There will be a variety of educational sessions and networking events and the opportunity to visit some of Hong Kong’s best attractions, including Ocean Park Hong Kong and Hong Kong Disneyland. Triotech is presenting its VR Maze for the first time in Asia. 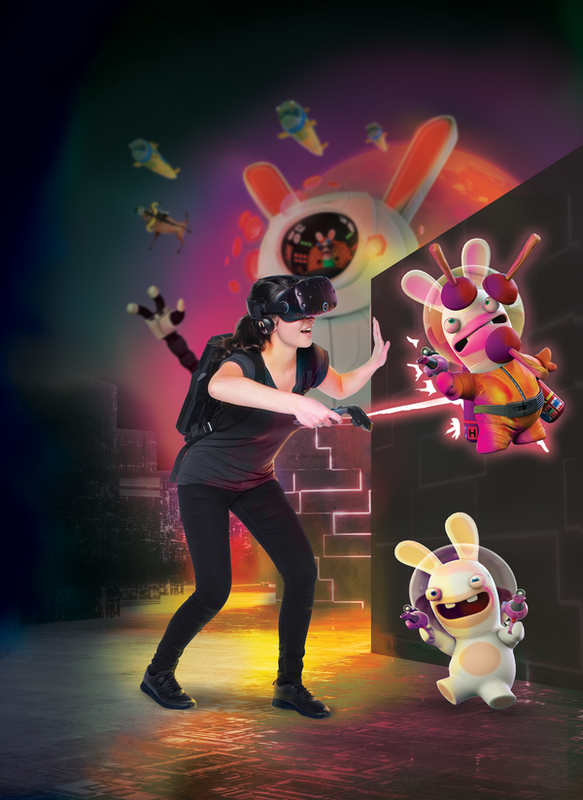 This attraction features exclusive content developed in partnership with Ubisoft including Virtual Rabbids: The Big Maze and Assassin’s Creed, both based on the widely popular video game franchises. The VR Maze combines VR and a physical maze in a minimal footprint, immersing guests in a compelling interactive adventure complete with individual scoring. Visit the booth to learn more. Rocas & Design and the Sharjah Investment and Development Authority (Shurooq) have launched Rocas Emirates, a joint venture created to meet the rising demands of the GCC (Gulf Cooperation Council) area. The company specialises in taking care of large-scale projects and offers all design and theming construction services without subcontracting. Simworx is promoting its extensive range of media-based attractions and is currently working on many projects globally, several of which are in the Asia region. 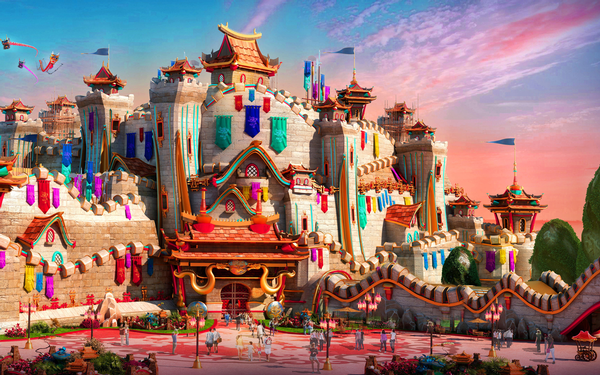 China continues to be a strong market, with the recent installation of three new attractions for an FEC group in Shenyang – a 4D VR attraction, an Immersive Adventurer and a 360° 4D Cinema. Fourteen rides are being produced for clients in China, while Simworx is also involved in projects in Vietnam and Indonesia. 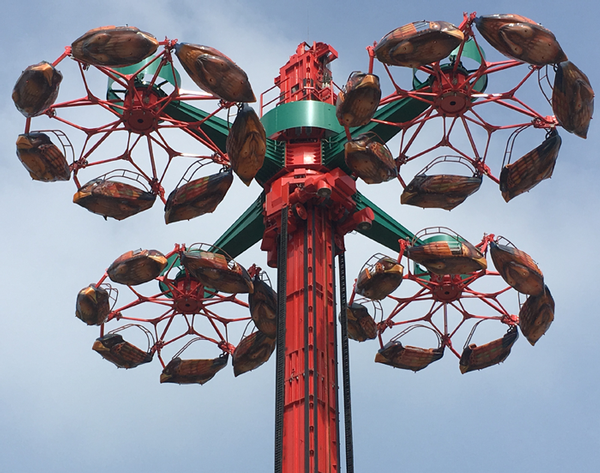 German ride manufacturer HUSS has announced the opening of its Condor 2G at Sun Tzu Cultural Park in Shandong, China. The cultural park features over 30 rides, from children’s attractions to thrill rides. The 31-metre high Condor 2G makes a striking landmark and offers an exciting family ride. The Sun Tzu Cultural Park ride features the classic gondola design and carries up to 56 passengers. Evergrande, one of the largest real-estate companies in East Asia, has exclusively partnered with IDEATTACK on several theme parks set to open within the next few years. IDEATTACK has been developing thrilling concepts for world-class attractions that will immerse guests in exotic, faraway places and enchanted worlds. IDEATTACK aims to redefine the art of themed entertainment by combining storytelling with cutting-edge placemaking technology and dazzling visual effects. Digital Projection is launching its INSIGHT Laser 8K Projector, set to be the first commercially available high-performance DLP laser 8K projector. The INSIGHT Dual Laser 8K provides an ultra-high 8K resolution of 33-million pixels through 25,000 ANSI lumens of solid-state laser-phosphor illumination. The flagship projector is a solution for elaborate installations and large-venue applications. Visit Digital Projection at the AAE show at Navitar’s booth. Leisure transport specialist Severn Lamb is delivering two large projects into China this year. Haichang Polar Ocean World will be taking delivery of three battery electric ‘steam outline’ Texan trains, each with an 84-person capacity. These trains have been modified to run on an elevated track significant gradients. Suzhou Amusement Land will be taking delivery of two brand new 144-passenger diesel hydraulic ‘steam outline’ Lincoln trains. Visit the booth to learn more about Severn Lamb’s offer. Sally Corporation is a worldwide leader in turnkey dark rides. From innovative custom designs to collaboration with famed IPs, Sally creates highly marketable attractions and memorable experiences for guests, from classic storytelling dark rides to repeatable interactive gaming experiences or mixed-media attractions. Talk to Sally about Jim Henson’s SPLASH AND BUBBLES, The Walking Dead: Battle For Survival and Five Nights At Freddy’s – The Ride! Vortex now offers PrecisionRide series waterslides, engineered for performance and made with state-of-the-art technology. 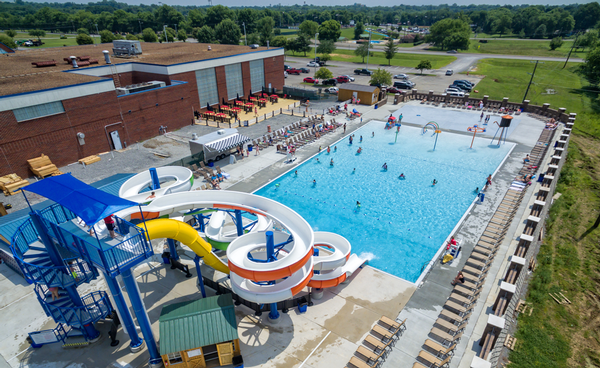 This new series offers smooth, comfortable rides and Vortex says the PrecisionRide features the highest strength-to-weight ratio of any waterslide structure today. Its glossy finish and smooth frictionless connections ensure an enhanced ride. CAVU Designwerks creates world-class attractions and experiences. CAVU rides use European and American components, certified by CSEI for Chinese installations and TÜV for global installations. With a portfolio that includes theatres, dark rides, suspended coasters and thrill rides, CAVU offers efficient manufacturing with integration and management of the complete attraction. Interlink is announcing various new ride projects in Southeast Asia. In Indonesia, the company is working on two new water rides – one a rapid river and the other, the “world’s first” Immersive SuperFlume. The Immersive SuperFlume is the result of a technical collaboration between Simworx and Interlink. A motion base and immersive screens are added to a SuperFlume 16-seat boat ride, featuring a 12-metre vertical lift and chute/splash, along with other effects. Simex-Iwerks announced a collaboration with Talbot Films on a custom production for the National Aquarium. Being Dolphin 4D tells the story of an aquatic journey through the eyes of a charismatic dolphin. The 4D experience tackles the topic of marine conservation, with a musical score to complement the beauty of the film. Find out about Simex-Iwerks’ library at their booth. Lagotronics Projects provides turnkey solutions for interactive attractions, show experiences and dark rides. The company is showing its innovative ride concepts, including Farm Fair GameChanger, an interactive rotating dark ride, designed in a farm theme, which premieres at Bayern Park in Reisbach, Germany, in June. The farm theme can also easily be integrated in a traditional media-based dark ride and the rotating dark ride GameChanger can also be designed to match a park’s own story, IP or theme. As Gold Sponsor of AAE 2018, Kraftwerk Living Technologies is promoting its expertise in audiovisual system integration for media-based attractions, including its latest generation 4D SFX motion seats, hybrid dome theatres, 4D theatre solutions, flying theatres and more. The firm will not have a booth in Hong Kong, but CEO Manfred Meier, CTO Christian Hofer and sales and marketing director Kevin Murphy will be at the show and available to meet. Alterface is presenting two new projects, Qingdao Wanda in China and Bazyliszek in Poland. 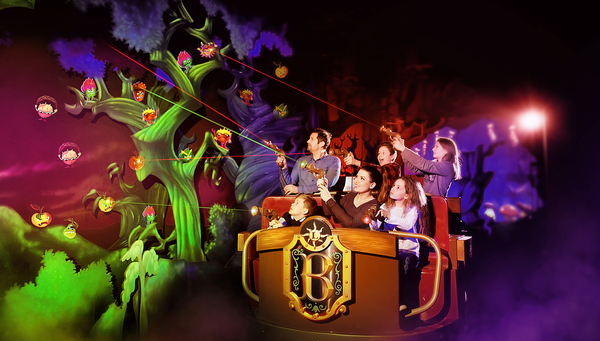 Alterface has joined forces with Jora Vision and ETF to build a next-generation dark ride in Poland. Bazyliszek opened this spring as part of the recently rebranded Legendia theme park. Alterface also worked on the Qingdao Wanda interactive indoor rollercoaster, which combines ancient Chinese storytelling with thrills and detailed mixed-media sceneries. Design and build firm Jora Vision is showcasing new projects such Los Piratas de Bacalar, a pirate themed walkthrough and Simworx Immersive Tunnel planned for the Mexican Riviera Maya area, as well as the new Bazyliszek dark ride, a collaboration with Alterface. Other projects include Legendary Trunks – The Exhibition, which journeys into the world of Louis Vuitton’s iconic luggage. Clip ’n Climb is launching BelayMate, an innovative new safety device for the fun-climbing industry. BelayMate eliminates the need for close supervision thanks to a unique internal sequencing mechanism.Learn more at booth 3335. Holovis is unveiling Li-Fly, a patented solution where guests soar through content as if they are flying. Li-Fly uses 5-DOF motion systems that securely hold and tilt 100 guests into a prone position before elevating them over a highly immersive ultra-high-resolution dome to deliver compelling experiences. This solution advances and transforms traditional Flying Theatres from passive lean-back seated experiences into active ones that deliver more realistic sensations of flying. Visit Picsolve’s booth to find out about its latest product launch, the Experience Wall, a collection of floor-to-ceiling HD screens that replaces the traditional green screen. Visitors stand in front of the Wall, which is programmed to display customised content for a more engaging and interactive photo capture experience. Seeper is committed to innovation, with R&D central to its mission. Last year Seeper received a grant from the UK government to create the world’s first holographic ride. This combines mixed-reality headsets, immersive audiovisual, 4D effects and multiplayer interactive gaming in a motion ride. The first experience created with this unique mix of technology allows guests to take a seat in a near-future space-tourism adventure. Visit booth 1011 to learn how 2018 is proving to be a momentous year for ProSlide. ProSlide’s presence in the Asia-Pacific region continues to grow with installations at top-brand parks. The anticipated Atlantis Sanya Aquaventure park opened in May, featuring signature ProSlide attractions like China’s first RocketBLAST water coaster and BehemothBOWL40/ TORNADO60 funnel. ProSlide rides will also open at parks in Malaysia, Indonesia, South Korea, and elsewhere in China. Simtec Systems is presenting its HEXaFLITE Flying Theatre product range from HEXaFLITE 16 up to HEXaFLITE 72/80, the largest flying theatre in Simtec’s product range. HEXaFLITEs are flying theatre indoor simulator attractions based on a 6-DOF motion base with a breathtaking initial movement. Attendees will also have the chance to learn more about Simtec’s FUNRIDE motion simulator systems and interactive dark rides. Located within Jeju Shinhwa World in Jeju, South Korea, Lionsgate Movie World will feature six immersive zones based on the studio’s biggest franchises. Working with Landing Jeju Development Company and Lionsgate, JRA is providing masterplanning, design and project management for this destination, which will be Korea’s first theme park built exclusively around global films and Lionsgate’s largest theme park project to-date. IPlayCo’s new Patented Turbo Tube Slide is a revolutionary standalone twin-lane slide with clear dome entity. The high-octane experience can be added to numerous areas within a facility or on to any existing playground. This is a great addition to a family entertainment centre or existing playground. Along with new trampolines and the Adventure Ninja range, look for announcements on new products and services from the iPlayCo group of companies.